"We’re fortunate that an outstanding attorney and leader stepped up to run, someone with integrity who can restore trust. That’s Mary Robnett, and I am proud to endorse her." Integrity matters. Leadership matters. That’s what I tell people when they ask me why I’m endorsing Mary Robnett for Prosecutor. I get why they’re asking. The incumbent is a Democrat, I’m a Democrat – so why am I supporting the non-partisan candidate instead? 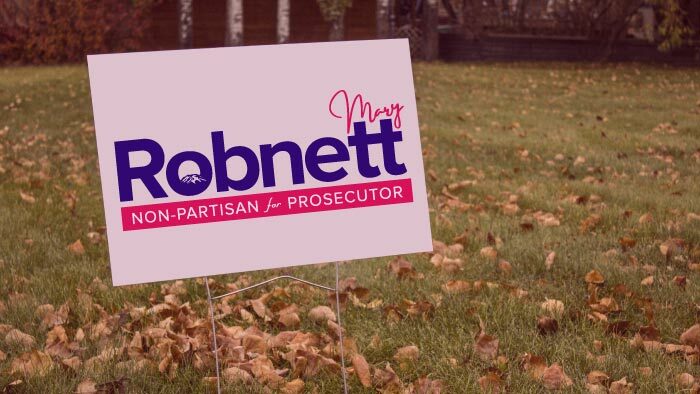 It’s because I believe in Mary Robnett – in her professionalism, good judgment, and strong ethics – and because I believe we need a change at Prosecutor. During my time as Pierce County Executive, the incumbent caused many legal headaches. It was doubly frustrating because, as the county’s attorney, he was supposed to solve legal issues, not create new and unnecessary ones. I feel for the hard-working deputy prosecutors who have had to soldier on through these difficult years. They deserve better, and so do the taxpayers. The solution is new leadership at Prosecutor. We’re fortunate that an outstanding attorney and leader stepped up to run, someone with integrity who can restore trust. That’s Mary Robnett, and I am proud to endorse her.